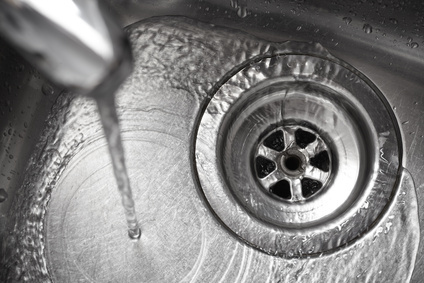 Whether you own a home, business, or small restaurant in Melbourne, Florida you probably have a sink or two which has a garbage disposal. Some people consider garbage disposals an integral part of any kitchen, and it pays to take good care of them to get them to last as long as possible. When you follow manufacturer’s guidelines for maintenance and cleaning, an average unit will last for about 10-12 years. This, of course, can depend on the amount of use it gets over time and the quality of the brand you choose. Garbage disposals come in a variety of horse power (HP), generally anywhere from 1/3 HP to 1 HP. Depending on how durable you want a garbage disposal to be will determine how high you want the HP. A good rule of thumb is the lower the HP, the less expensive the unit costs, but the less it is able to do. You can find decent quality 1/3 HP starting at about $60 at most home improvement stores, although this size can tend to jam easily and isn’t really recommended except for people who rarely use them. Most plumbers would recommend at least the next HP size up for most homes. The cost on units will keep going up as the amount of HP increases, up until you reach 1 full HP which will run about $300, although cost can depend on brand and where you shop. If you’re in the market for a new garbage disposal, you’ll want to consider brand, how loud the unit is, and also the size. The larger the HP, the larger the unit typically is. If you’re in an older home and have one of the smaller sinks with older, shorter cabinets, you’ll want to make sure you have enough room under the sink cabinet to have it installed properly. The above recommendations are for all houses or businesses that are on a public water and sewage system. For anyone who lives or does business where there is a septic tank, it is necessary to maintain the natural microorganisms which are in the septic tank itself. There are specific garbage disposal models that come with special cartridges made just for septic tanks, and these should be considered anytime a garbage disposal is used with a septic tank. All Master Plumbers have extensive experience in installing a wide range of garbage disposals based on size and HP, and whether or not the building has a septic system. It is best to have a plumber install garbage disposals because there can be excess water and old waste inside the old garbage disposal and the pipes should be in good working order before installing a new garbage disposal. A plumber will best know how to deal with this, and they can easily install a new garbage disposal in a quick manner, allowing you to get back to work in the kitchen as soon as possible.